Hammacher Schlemmer is one of my favorite companies for holiday shopping. They offer everything you can imagine. They also have some unique items that you won't find anywhere else. 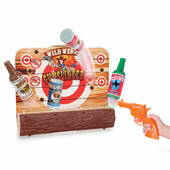 I really love their selection of kids toys for every price range. My favorite section of kids toys is the arcade and recreational room section. 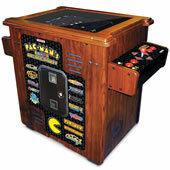 They offer products link The Sharpshooter's Pop Up Gallery for as low as $39.95 and offer high end products like The 30th Anniversary Pac-Man Arcade Cocktail Table for $3500. The Sharpshooter's Pop Up Gallery and The 30th Anniversary Pac-Man Cocktail Table are gifts you won't find anywhere else. 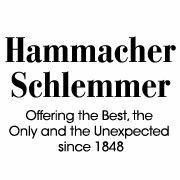 Hammacher Schlemmer looks for the most unique items that kids and families will love! This year we were able to try The Young Caped Crusader's BatMobile. My kids were amazed. It lights up and makes sounds just like on Batman. My sons are huge batman fans. 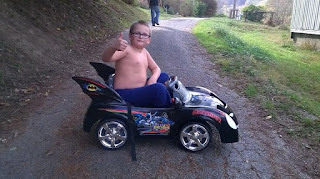 The Young Caped Crusader BatMobile is battery operated and charges in no time. I loved that it had a long battery life. 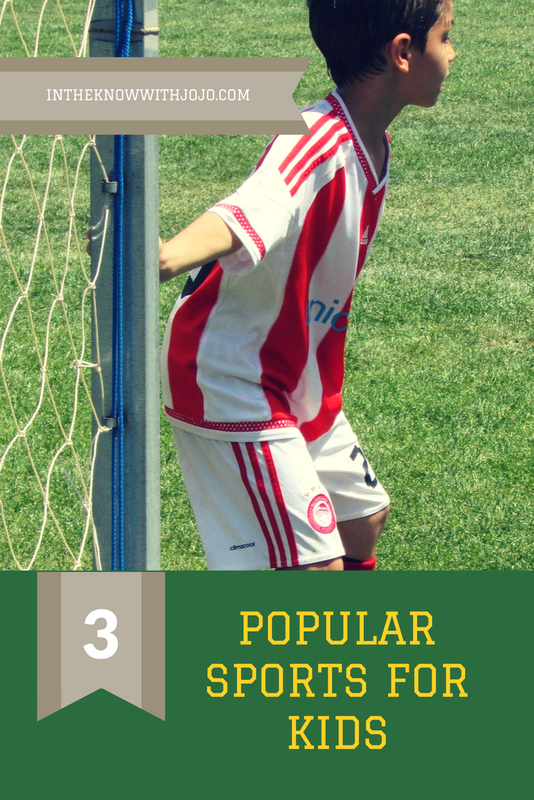 My sons 6 and 8 could ride for over an hour easily. There is also a parent control so that I can steer my 2 year old. She can also join in the fun. 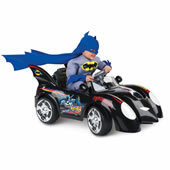 The Young Caped Crusader's Batmobile makes the perfect gift for kids.